As we all know, sewage sludge has a serious pollution to the soil and water. It is understood that sludge, especially the industrial sludge, with various kinds of complicated components, has been listed in the international hazardous waste because it contains harmful components. As one of the most common methods of sludge treatment, the random dumping and landfill of industrial sludge has caused great harm. 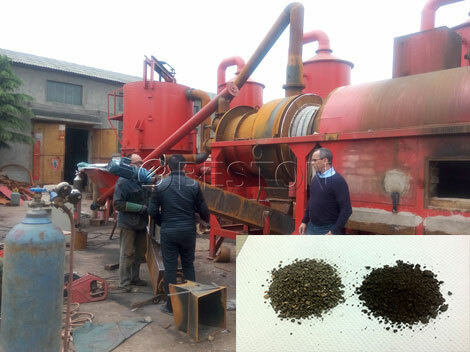 But if we have a laboratory analysis for the different types of sludge, it is not difficult to find that most of the sludge contain valuable material and we can successfully turn sludge to energy by Beston newest sludge treatment plant. 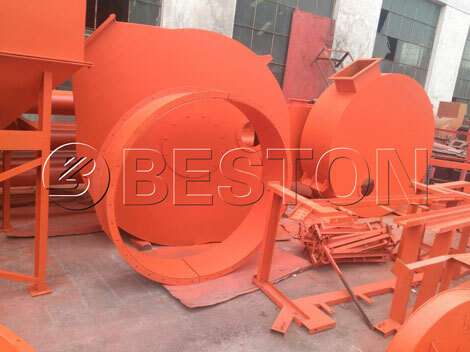 The carbonation equipment produced by China Beston can successfully process sewage sludge into sludge carbon, with superior advanced technology. 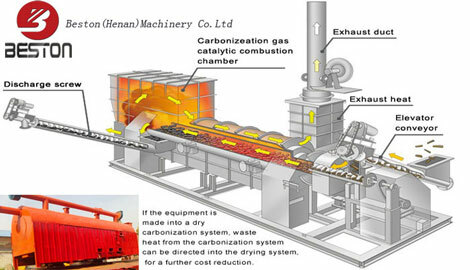 Firstly, dry the sewage sludge with the high temperature, and the water content can’t be more than 20%; and then put the pile of dry sludge into a device, igniting, burning, melting, after a raging fire, leaving the furnace-like molten magma body; finally, use our superior cooling system to reduce the temperature of carbon. By this method, the treatment of sludge is both safe and stable. 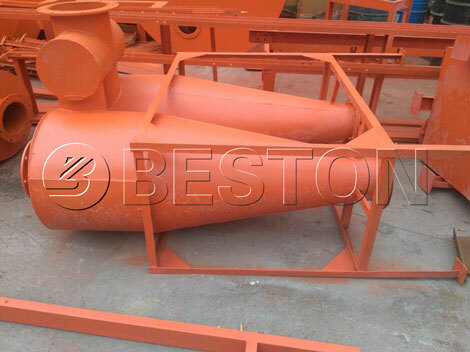 The above is the new technology of sludge treatment system invented by Beston Machinery company, which is also called carbonation technology. 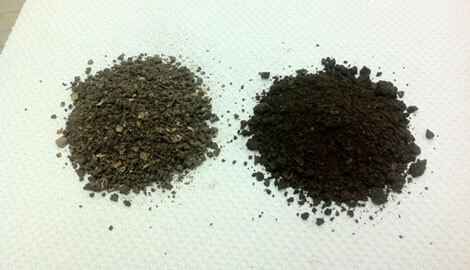 The technology can extract high caloric value biomass carbon by the unique Beston sludge management system, while it has the obvious environmental benefits. According to different kinds of sludge, we have developed a corresponding processing technology, most of which can successfully achieved utilization and safe disposal of industrial sludge. Firstly, in the industry: this kind of charcoal can be used as fuel directly, and after adding alkali neutralization, dehydration, drying, this kind of material can be used as raw material to produce the steel covering agent which can be also sold to cement plant directly. Besides, in our living environment, the biomass carbon is the most common fuel for BBQ because of its harmless and high combustible value. While in the respect of agriculture, this kind of material is the first choice to be made into natural fertilizer, so as to improve the quality of soil and have a heavy harvest. 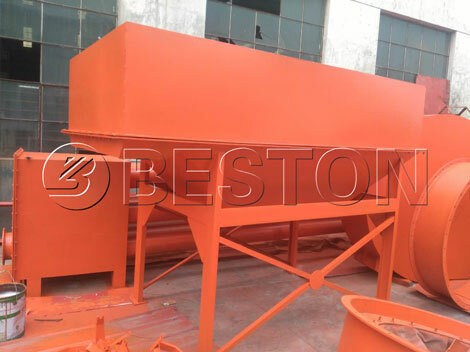 Waste sludge treatment machines produced by Beston Group have a obvious effect on the treatment of purifying sewage waste and deodorization, and it also improves the problems caused by environmental pollution, air pollution and resource shortage. 1. 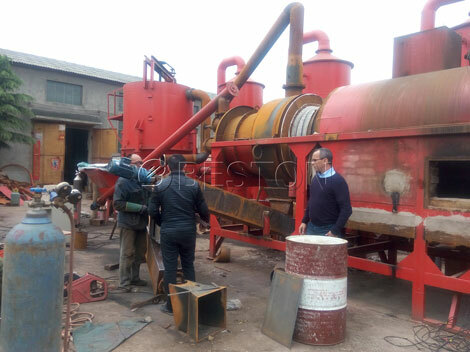 This kind of industrial sludge carbonization machines can not only dispose the sludge of lake but also can carbonize the living waste and used circuit, which is impossible to realize in the past. 2. 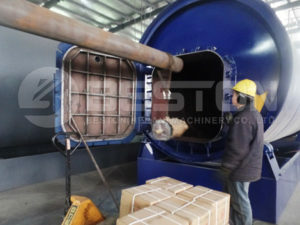 The sludge that has been processed by the sludge carbonization machine can be made into permeable brick through the carbonized powder machine, without generating odor. 3. 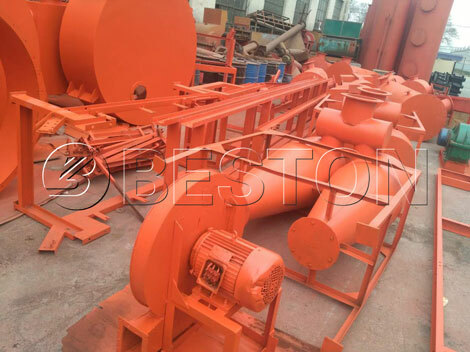 Besides, our sludge treatment facility can also process rice hull, peanut shell, sawdust and many other biomass wastes, and this is called the single machine with multiple applications. 4. The sludge carbonization plant doesn’t need to add new heat source to dry the raw material, and it can thoroughly utilize the residual heat and hot air of the process, which has really realized the self support and also saved much energy and cost. 5. The whole plant for sludge disposal also has met the EU emission standard.